MyCorporation offers document filing services for clients who intend to form business corporations or limited liability companies (LLCs). 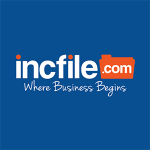 Its features include business formation, trademark and copyright, federal tax ID, business name search, and more. 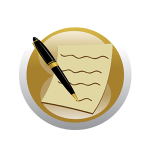 In this article, we cover MyCorporation reviews and pricing. Ready to get started? Visit its website. Users who gave MyCorporation a positive review said that it provides essential services needed for business formation and maintenance. Some of them also commended its excellent customer support team for responding quickly and effectively to their issues. One user who gave MyCorporation a positive review on Trustpilot shared that it offers all the services every business would need, especially startups. He also mentioned that it not only offers basic registration services, but also has features that are useful in helping a business maintain good standing. As of the date this article was written (February 21, 2019), there are very few up-to-date MyCorporation negative reviews online. However, one user reported that it’s difficult to get a full refund despite promises of the contrary from the company. MyCorporation pricing is based on four plans. The most affordable one is their Basic Plan starting at $89, not including state fees. Their most expensive plan is the Premium Plan, which costs $299 plus state fees. The main difference between the plans is access to advanced features such as annual reports, registered agent services, and MaintainMyBiz (a business maintenance tool). They also offer the following products, which are renewed annually: Registered Agent Service, Annual Reports, MyIncGuard, and MaintainMyBiz. Those who choose to cancel and discontinue the service must inform MyCorporation through a written notice at least 30 days before the next renewal term. 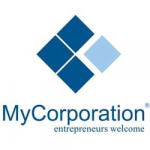 Ready to get started with MyCorporation? Visit its website. How does MyCorporation help maintain a business in good standing with state requirements? MyCorporation offers a service called MyIncGuard, which sends clients reminders about annual reports, quarterly tax returns, year-end notices, and more. It helps businesses avoid dissolution by keeping up with state-specific requirements and filing necessary documents for business maintenance. How does MyCorporation help businesses register for operating in another state? MyCorporation takes care of the necessary paperwork required to register a business in another state as a foreign entity. It helps business owners acquire a certificate of good standing from their state of incorporation and delivers the completed documents ready for filing. Have you read these MyCorporation reviews and are still not sure if it’s the right fit for you? 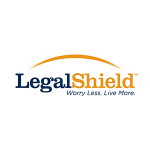 Read our reviews of all top online legal services or check out one of these three MyCorporation competitors.